Walter O’Malley corresponds with New York City Planner Robert Moses and brings to Moses’ attention a possible site for the new Dodger Stadium in Brooklyn. “I want you to know that I appreciate all the time and attention you and George (Spargo, associate under Moses) gave to our letter yesterday. We might not be in agreement on some points, but we, at least, get a kick out of fighting,” wrote O’Malley. 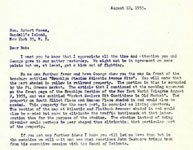 “Do me one further favor and have George show you the map in front of the brochure entitled ‘Brooklyn Stadium Atlantic Avenue site’.” Also, on this date, Adrian Van Sinderen expressed his thanks to Walter O’Malley for making available 500 tickets to a Dodger game to be sold for the benefit of the Brooklyn Children’s Museum. Van Sinderen was a prominent bank executive, author, book collector and philanthropist in New York City. Walter O’Malley attends a memorial service for Earl C. Anthony, owner of a group of radio stations that included KFI, a 50,000 watt station then broadcasting Dodger games on radio. 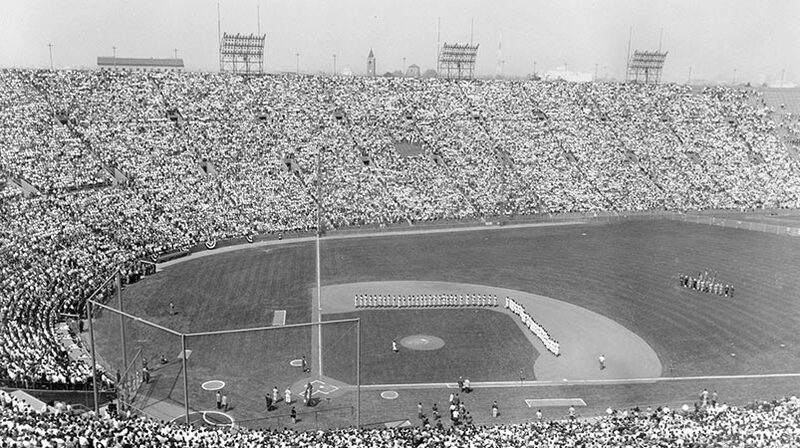 A meeting regarding cable television was held in Walter O’Malley’s office at Dodger Stadium. In attendance was Jack Kent Cooke, owner of the Los Angeles Lakers and Kings and the man who built The Forum in Inglewood, California.